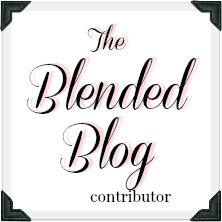 Welcome back to the new Blended Blog Style! 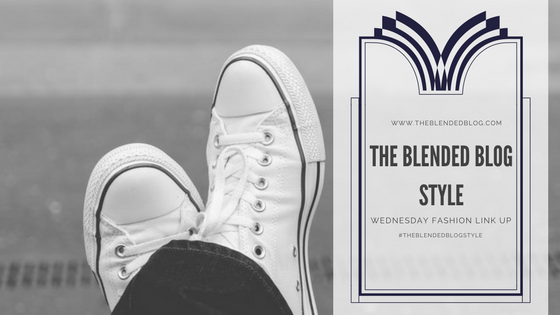 Today I'm hosting the link up, so if you haven't stopped by TBB, be sure to head over and check out last week's most clicked looks. I mentioned that the lazy days of summer have me slacking in the blog department, but I'm hoping to get my act together soon. Maybe. We'll see. In the meantime, I looked through some outfit selfies and realized that I've been wearing all the florals lately. Do you ever see a floral piece and think "that kind of reminds me of grandma's old couch?" But then once it's on, it works! So today, I give you a collage of "grandma's couch", summer edition. I have to admit, I'm getting a little tired of hearing about the Nordstrom Anniversary Sale. It just needs to start already. But there's big news. While looking through the catalog, I stumbled across a new Barefoot Dreams Cardigan (aka the Blardigan). It has pockets. And a hood. And a longer length. It comes in black, gray, cocoa, light brown and indigo. I'm swooning over this cardigan. BUT. I already have two blardigans and definitely don't need another one. Must decide by Thursday! Thoughts? A blardigan with pockets?! I just might need that! I love all of your pretty floral tops! The cold shoulder top is so cute! Life's too short, Lana! Buy the blardigan! I'd say if it's a different color than you already have, and you wear them, then you should get it!!! It'll definitely get some good wear!! The Blardigan looks & sounds great! 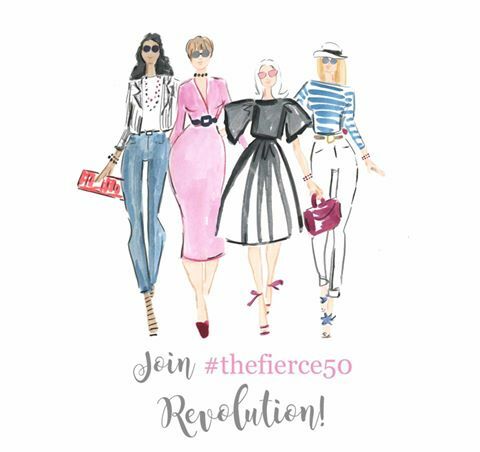 If you'll wear it a lot & enjoy it, it'll be totally worth it!!! I remember not liking florals at all just a few years ago, but now I love them... You have a great collection! Lana, I love all the florals! They are so pretty for Summer! I'm about over hearing about all the prep work for the #NSale, I mean really it's not like it's a colonoscopy for the love of God! Haha! I don't own a blardigan because it's just too hot here but everyone raves about them so much. Order it and you can always return it if you change your mind. Because you know, we've been warned, items DO SELL OUT so order away! Yes to the blardigan, I saw that too, and with the added length and the hood, I was thinking the same thing, do I really need a third? Although each one is a different style, so it's totally acceptable. Love all the florals on you! Grandma's couch...hahahahahahahaha!!!!!! I love florals and I am truly glad to see them in stores and on people, like you, this summer. Just happy! It's on sale you wear them, this one is different, go for it I say! OMG - I'm somewhat new to loving florals and I am currently in a floral frenzy. Every thing I like is covered in flowers.... Glad to see I'm not the only one! Yep, swooning over the same cardigan!! I don't have a Nordstrom card so I hope they will still have these in stock when us regular folk can place orders. Haha. And I'm loving floral lately, too! That cold-shoulder top is fabulous! Also, I don't have a lot of florals but the ones I do have make me incredibly happy. I'm very intrigued by that top right floral top...love the colours and I bet it looks amazing with your pretty blonde locks. I love your pretty outfits and I too like florals which are so in right now. I am embarrassed to admit this, but I've never shopped the Nordstrom Anniversary Sale. But, I am sure if I looked I'd find plenty of things I'd need! ha! I love the blardigan! I have been loving florals lately, too! 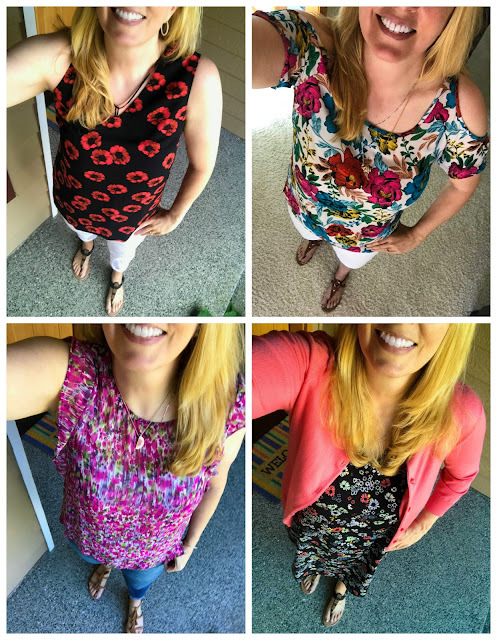 You have a lot of adorable floral tops!